Most of the softwares today are very much like Egyptian pyramids, with millions of bricks piled on top of each other with no structural integrity, but just constructed with force and thousands of slaves. Bill Gates once said, "A great lathe operator commands several times the wage of an average lathe operator, but a great writer of software code is worth 10,000 times the price of an average software writer." Businesses today have become highly complex, function at tremendous speed and produce vast amount of data every minute. The data may be from a verite of field such as production, marketing, finance, inventory, etc. It is a well known fact that managerial decisions cannot be taken without accurate data. Several companies boast of providing softwares which that can help managers take wise and quick decisions. 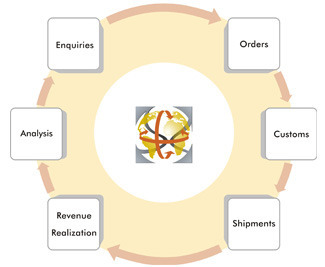 Looking to the desperate need of handling dimensionality and complexity of business data, Ray Micro Computer was established in the year 1995. The organization that started with a handful of people before one and half decade, today operates with a full fledged team of experts from the IT industry.It has been our sole motto to fulfill all the IT needs of our clients and thus help them build a strong platform for their business operations.